The MV Super Fast Galicia. Anti-Corruption Bureau officers are tipped to investigate a report of files disappearing from the Port Authority of TT (PATT) as the matter could be more than a random theft. In a media release yesterday, PATT stated the police were told of “ a breach in its documentation management system” after confidential board documents were reported missing. The missing files are in relation to the Super Fast Galicia. Police told Sunday Newsday that PATT, being a state entity, the missing files could be more than just a case of petty theft but also corrupt activities. As a result, Port of Spain Division police said the matter will engage the attention of the Anti-Corruption Bureau. 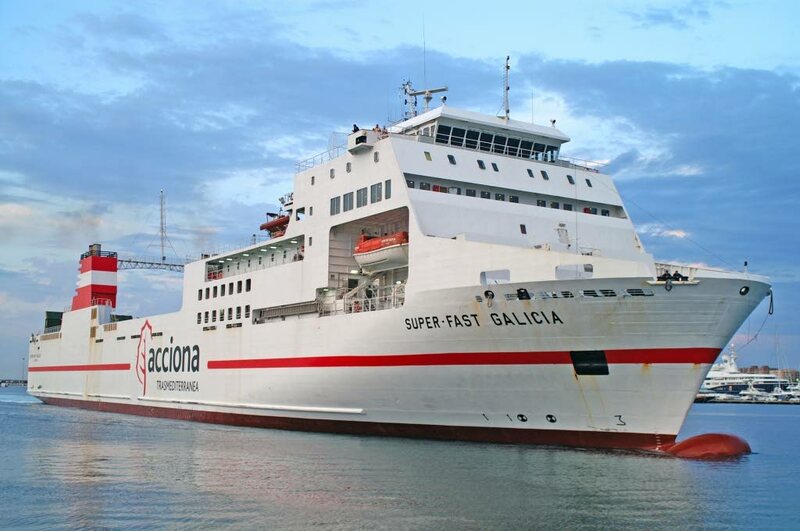 The Super Fast Galicia was taken by its owner, Transmed, last year after the country failed to settle on an 18-month contract and is now being used in Spain. The ship was once used as an inter-island ferry after the Warrior Spirit contract was cancelled in 2014. The awarding of the contract for the Super Fast Galicia came under scrutiny with Attorney General Faris Al-Rawi threatening to sue maritime attorney and former PATT adviser Nyree Alfonso. Al-Rawi said Government is seeking claims against Alfonso for breach of fiduciary duty to help them source a vessel to replace the Warrior Spirit on the inter-island seabridge. While Alfonso was working for the port, her firm ND Alfonso & Co, had also been invited to tender as part of the procurement process. Intercontinental Shipping Ltd, which had not been invited to tender, subsequently replaced Alfonso’s company’s bid, allegedly acting as its broker. `Intercontinental, the agents for the Super Fast Galicia, won the bid. Al-Rawi said since Alfonso allegedly profited from the arrangement, it was a breach of trust in her duty to the PATT. Alfonso, said Al-Rawi, had also submitted an invoice for $840,750 to the port for her part in the negotiations with Intercontinental, for which she was paid. Reply to "Super Fast Galicia files missing"